Quick step-by-step guide to get this achievement as fast as possible. You do not have to destroy the jars all in 1 sitting. They are cumulative. 1. Change your quest to Act I part 4 Reign of the Black King; The Royal Crypts, preferably on a higher difficulty. 2. Enter the game and put your gear in your stash so it doesn't break. 3. Search for the Skeleton King. 4. Enter the room, destroy all the Jars of Ash. 5. 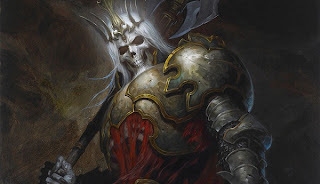 Trigger the Skeleton King and let yourself die. 6. When you can revive all the Jars will be put back together.